I've been an automotive technician since 2003. I have experience with engine rebuilds, fixing transmissions, doing oil changes, brake jobs, suspension replacements, electrical diagnostics, and more. Making customers happy through great repairs is my aim. Arrived on time, did his job, reminded me of other parts that should be replaced too, Good work! Could not have been better. Darwin showed up EXACTLY on time. I handed him the keys to the vehicle and went back inside the house. 40 minutes later, he handed the keys back to me, I signed the iPad/tablet invoice, and the job was DONE at the quoted price...at 1/4 the price the dealer (who wanted to keep the car for two days) wanted to charge. Darwin's my mechanic from now on! Darwin did a great job. Darwin was an absolutely terrific mechanic. He was punctual, professional, friendly, and did the job as promised. And in good time, too. He first came to do an inspection for a coolant leak, and within the hour, he pinpointed the problem. Through the site, I requested him for the next day to do the recommended fixes. When he showed up, he detailed what he was going to do and how long it would take him. If anything unexpected popped up while he was working, he always made sure to notify me and make sure I was okay with how he would proceed. In terms of maintenance, he told me what I could fix next in the future, detailing exactly what I would need to prioritize. Incredibly professional and very friendly. I'll for sure be recommending him to anyone that is looking for a mechanic. Thanks, Darwin! Very courteous and knowledgable. Would not leave until the job was complete, though, it was getting dark. 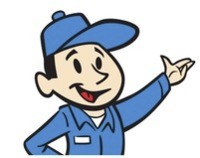 This was my first experience with yourmechanic and I Darwin did an excellent job and was really helpful! Darwin was friendly, took time to explain everything that he had done, and provided detailed recommendations for future service. I will definitely book him in the future. The best, as always. Completed the job in 1/3 the estimated time. No muss, no fuss, no extra$.